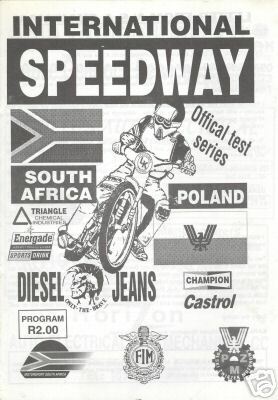 This series of "international challenge" matches was a precursor of the following season's tour. Balinski was injured in the first match, so the Poles borrowed Hungarian-born South African Szilagyi. 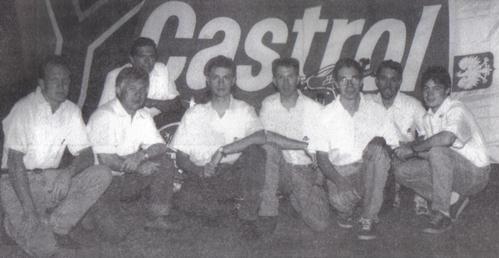 But by the end of the tour, South Africa were without their top two riders, and Balinski himself guested for the home team. In the match at Nelspruit, Deon Prinsloo lowered his own track record to 60.12 sec, and Baldwin acted as reserve for both teams.